ATTENZIONE: non è possibile convertire il Buono Regalo in contanti. 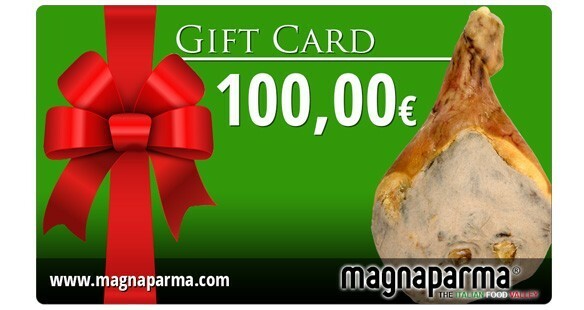 Il Buono Regalo può essere utilizzato per effettuare qualunque acquisto su https://www.magnaparma.com/en/" title="MagnaParma">https://www.magnaparma.com/en/. Gift voucher of 100 € that can be used for the purchase of any product on this website. With the gift card of 100 € the gift is great, the freedom of choice is greater! An original idea to do shopping from over 500 typical food and specialties selected by connoisseurs. Buy a Gift Card, write your wishes and send it immediately to whoever you want. It's simple, easy and fast. And don’t think about it any more!